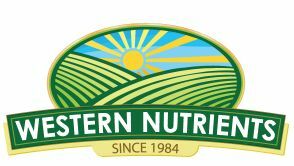 Western Nutrients Corporation @ ChemBuyersGuide.com, Inc.
WESTERN NUTRIENTS CORPORATION has been developing and manufacturing high quality solution plant foods for commercial agriculture,horticulture, golf courses, and lawn and garden since 1974. It�s company staff has over three hundred years of combined experience in the industry. The manufacturing facility is located on 6� acres in Bakersfield, California. NEW PRODUCTS - PRODUCTS DEVELOPED FOR MARKETS. TRIAZONE - SLOW RELEASE NITROGEN.